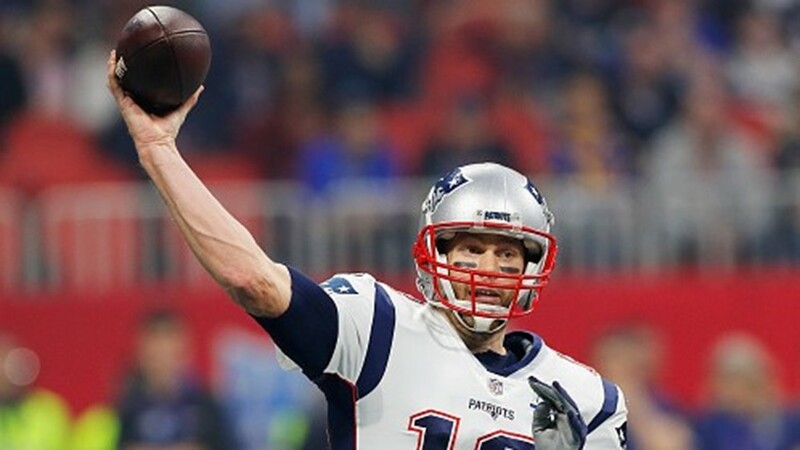 New England Patriots quarterback Tom Brady throws a pass against the Los Angeles Rams in the second half during Super Bowl LIII at Mercedes-Benz Stadium in Atlanta, Georgia on February 3, 2019. 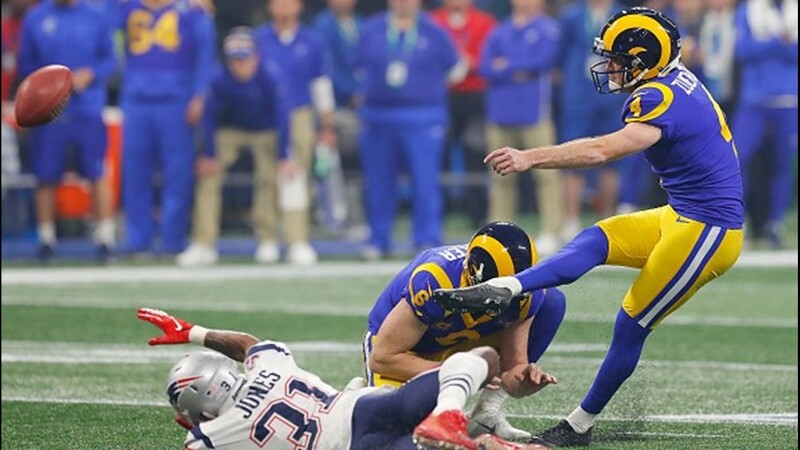 Los Angeles Rams kicker Greg Zuerlein converts a 53-yard field goal to tie the game, 3-3, during the third quarter at Super Bowl LIII at Mercedes-Benz Stadium in Atlanta, Georgia on February 3, 2019. 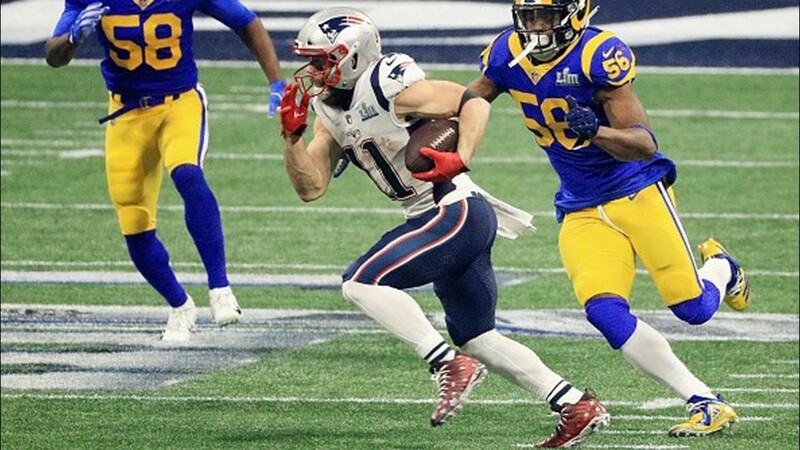 New England Patriots wide receiver Julian Edelman runs with the ball against the Los Angeles Rams in the second half during Super Bowl LIII at Mercedes-Benz Stadium in Atlanta, Georgia on February 3, 2019. 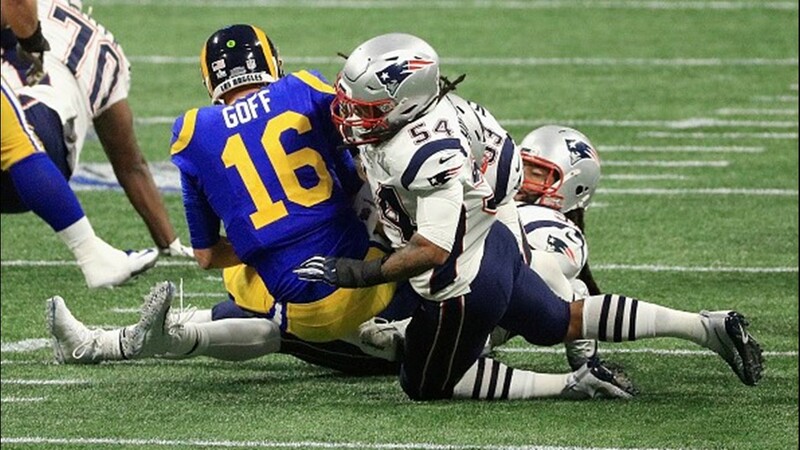 New England Patriots defender Dont'a Hightower (54) sacks Los Angeles Rams quarterback Jared Goff (16) in the second half during Super Bowl LIII at Mercedes-Benz Stadium in Atlanta, Georgia on February 3, 2019. 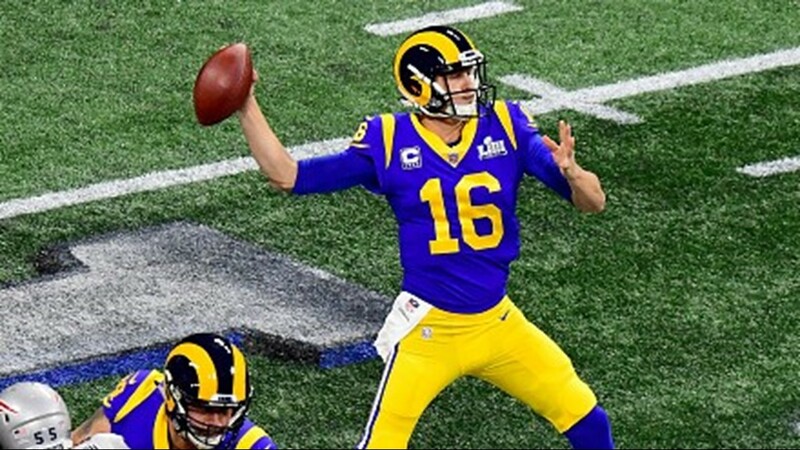 Los Angeles Rams quarterback Jared Goff attempts a pass against the New England Patriots in the second quarter during Super Bowl LIII at Mercedes-Benz Stadium in Atlanta, Georgia on February 3, 2019. 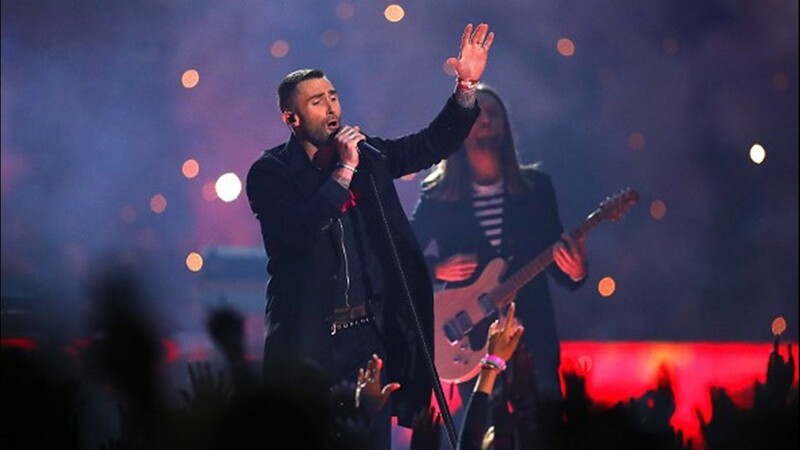 Maroon 5 frontman Adam Levine performs during the Pepsi Super Bowl LIII Halftime Show at Mercedes-Benz Stadium in Atlanta, Georgia on February 3, 2019. 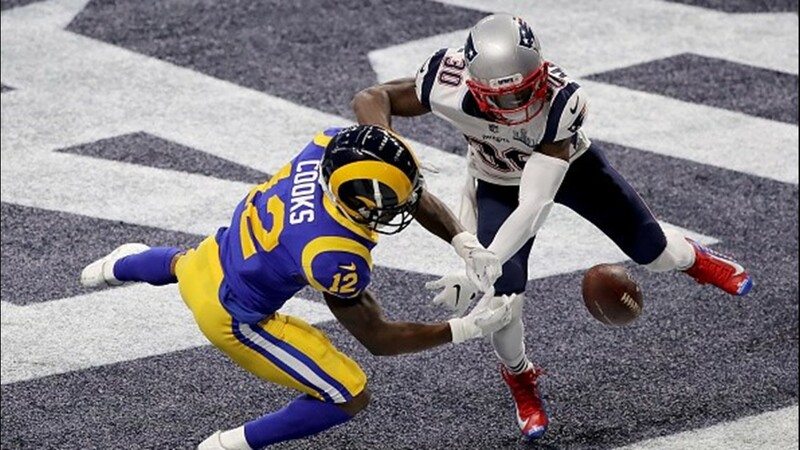 Los Angeles Rams wide receiver Brandin Cooks drops a pass in the endzone as he is defended by New England Patriots defensive back Jason McCourty in the second half during Super Bowl LIII at Mercedes-Benz Stadium in Atlanta, Georgia on February 3, 2019 . 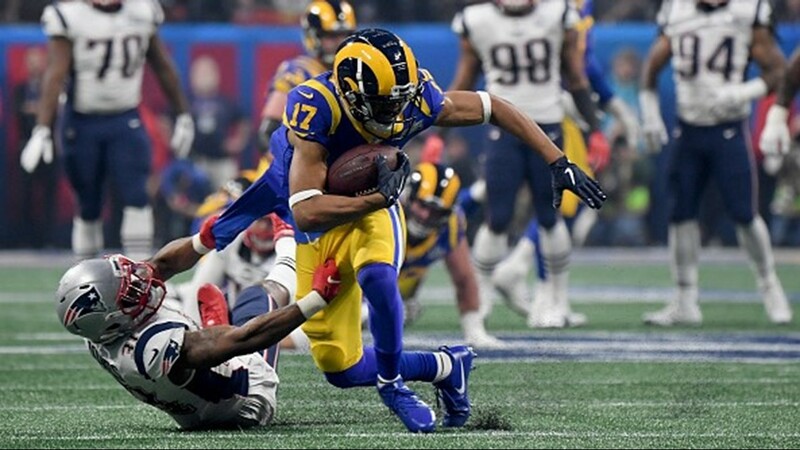 Los Angeles Rams wide receiver Robert Woods makes a catch in the third quarter during Super Bowl LIII against the New England Patriots at Mercedes-Benz Stadium in Atlanta, Georgia on February 3, 2019. 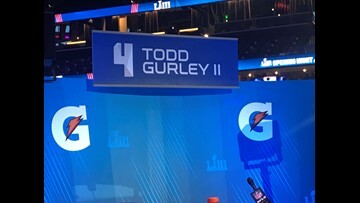 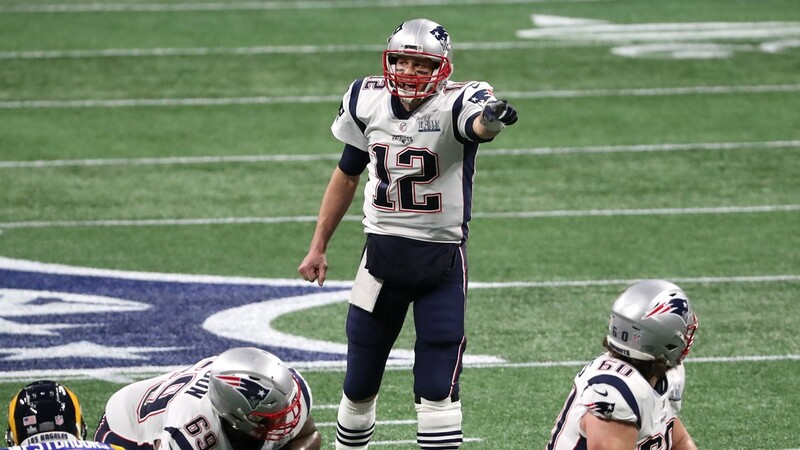 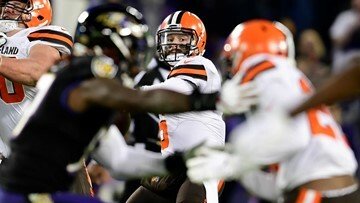 New England Patriots quarterback Tom Brady prepares to run a play against the Los Angeles Rams during the first quarter during Super Bowl LIII at Mercedes-Benz Stadium in Atlanta, Georgia on February 3, 2019. 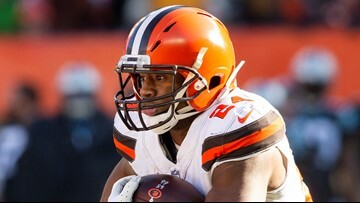 Los Angeles Rams running back C.J. 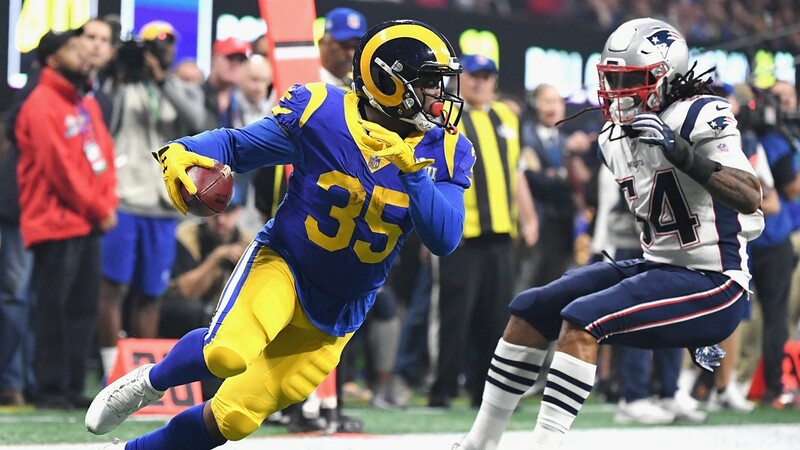 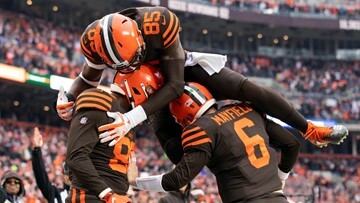 Anderson runs the ball against of the New England Patriots defender Dont'a Hightower (54) in the second half during Super Bowl LIII at Mercedes-Benz Stadium in Atlanta, Georgia on February 3, 2019.